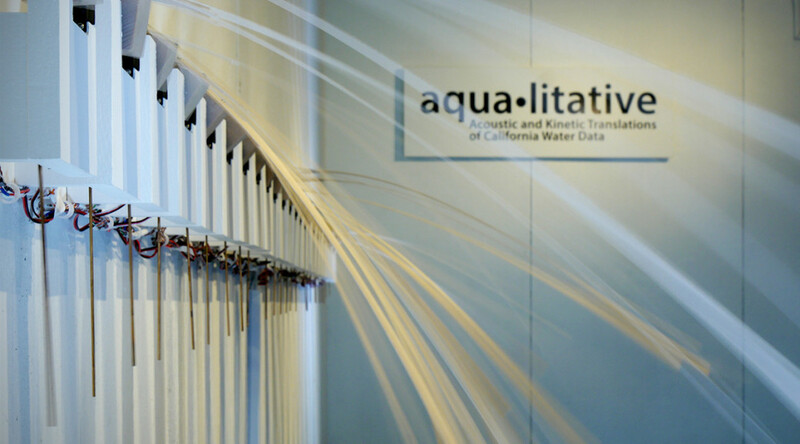 Aqua•litative is a kinetic installation that renders multiple data sets related to California’s water history into movement and sound. 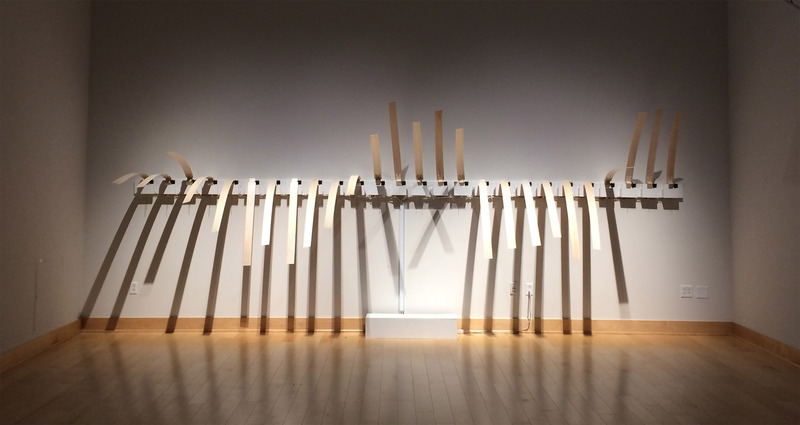 The installation displays climatological data as a chronological narrative of water in the state by transforming water data into acoustic sounds (ringing of clock chimes) and physical movement (motors moving arms of balsa wood) shown in a gallery space. Precipitation data creates sonic patterns, analogous to rain droplets, in a continuously evolving play between density and rhythm. Aqua•litative is by Jon Bellona, John Park, and John Reagan. http://aqualitative.org The installation is part of an Environmental Resilience and Sustainability Fellowship, funded in part by the Jefferson Trust and the University of Virginia Office of Graduate and Postdoctoral Affairs. Arduino board layout for the installation.